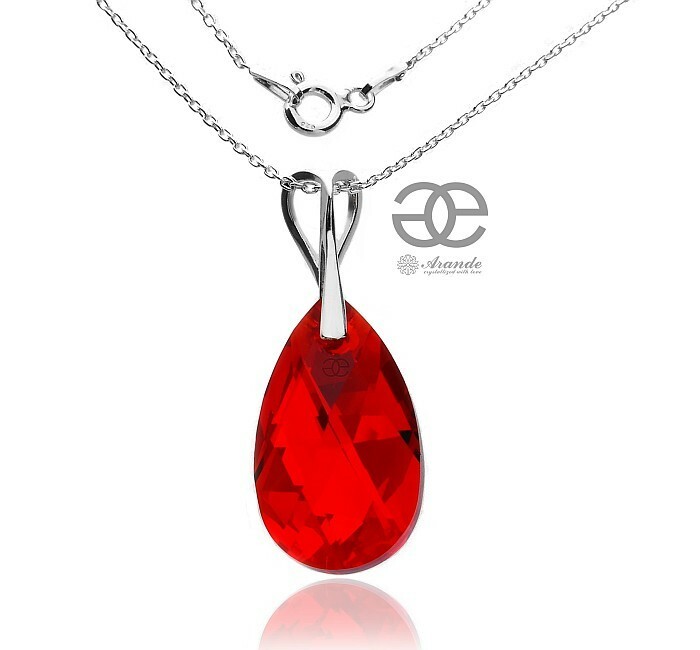 Beautiful sterling silver necklace with Swarovski crystal: RED DROP. BEST PRICE ON EBAY! These genuine Austrian crystals are made in famous Swarovski Elements collection world-known for best sparkling pearls and crystals. Stunning necklace with original large crystal PEAR DROP in beautiful RED color (Light Siam AB). Shining opalescent color. The crystals were made by Swarovski specially for our company Arande. Special series from limited collection. The necklace includes a sterling silver pendant and a sterling silver snake chain 45 cm.